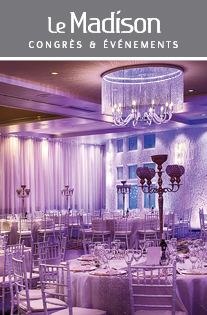 Chapiteau Le Monarque, by Groupe Madison, is Laval’s luxurious outdoor wedding venue on Golf Le St François. 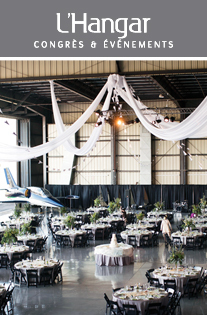 Visit our venue today! 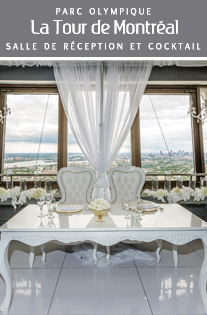 Set your sights on beautiful greenery and expansive views at Laval’s golf course venue. 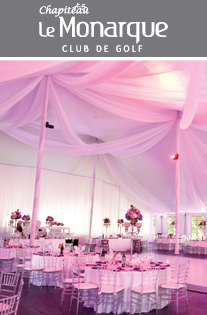 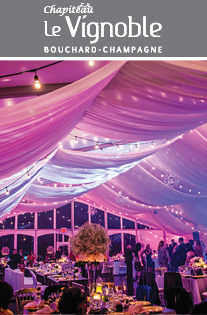 Create the event of your dreams with the help of Laval’s luxurious tent venue, Chapiteau Le Monarque. 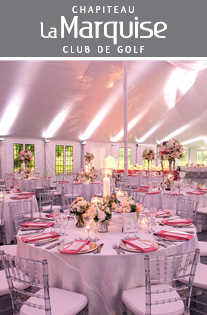 This outdoor venue combines the picturesque greenery of Laval’s most exquisite golf course, Golf Le Saint François, with Groupe Madison’s reputable service and signature of luxury. 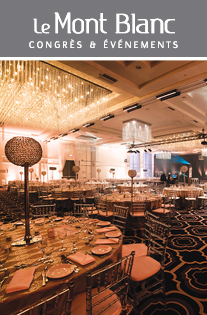 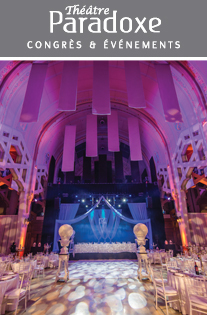 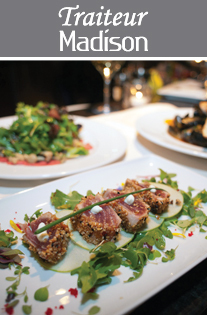 Open from May to October, the luxurious Laval venue is situated on an expansive 9,600 square foot Laval golf course. 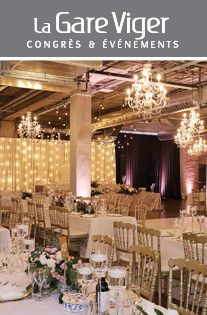 The venue brings a touch of luxury to this naturally beautiful setting with ethereal white drapery, elegant chiavary chairs, candelabras and of course, gourmet catering menus provided by Groupe Madison.